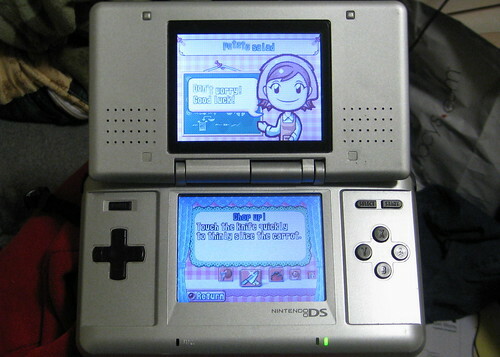 Ever since misa lent us Cooking Mama: Cook Off for the Wii, Yut and I haven’t been able to cook without saying, “just like mama!” every time we do something right and “good not mine!” every time we drop something. Except we don’t really do her accent right; I dunno what that accent is, but it’s funny. mannn i’ve been wanting to play that game for soooo long!!! i say “good not mine” all the time. Do you learn any cooking techniques you can use in real life? I mean, do they teach you cool stuff like on Alton Brown? Or are there recipes you can try on real food?